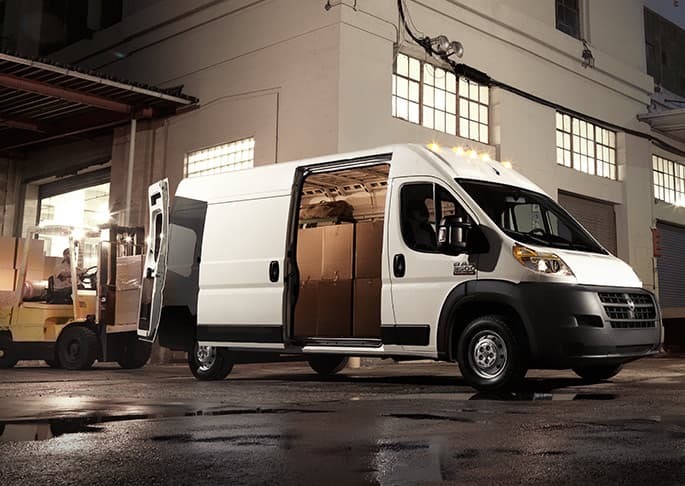 The ProMaster 2500 is available in four body styles: chassis cab, window van, cutaway, and cargo van. Two roof heights and 4 body lengths are available. Power comes from a 3.6-liter gas V-6 or a turbodiesel 3.0-liter 4-cylinder engine. 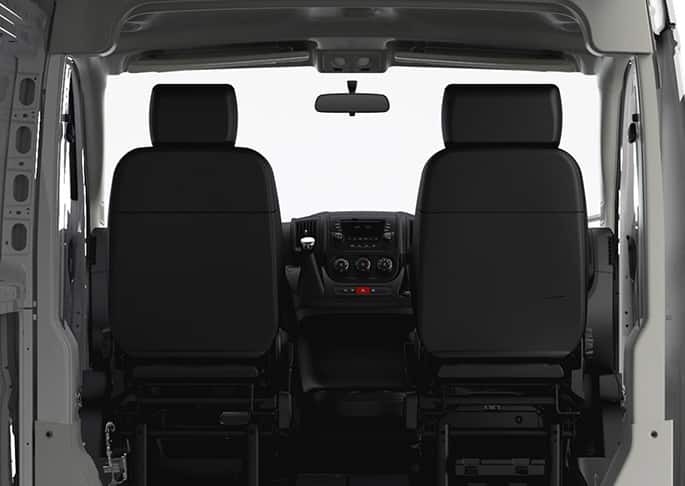 Offered in a wide array of configurations, the ProMaster competes with the Nissan NV, Ford Transit and Chevrolet Express. The ProMaster joined the Ram line-up last year. The ProMaster 2500, in all its permutations, is eligible for an optional 3.0 liter turbo-diesel inline 4-cylinder power plant that sports a 6-speed auto-manual transmission managing 174 hp and a potent 295 lb-ft of torque that, with the proper equipment installed, can tow up to 5,100 lbs of trailer. The 6-cylinder puts out 280 horsepower and 260 pound-feet of torque. The rear doors swing open 260 degrees, folding almost flat to the side of the van. They provide an incredible amount of easy access, even in the tightest spaces. Doors also have built-in 90- and 180-degree detents, providing for various loading or unloading situations and giving you control when opening. An optional suspension enhanced driver seat makes long drives less painful, while available swiveling driver and passenger seats increase ease of access inside the cab. 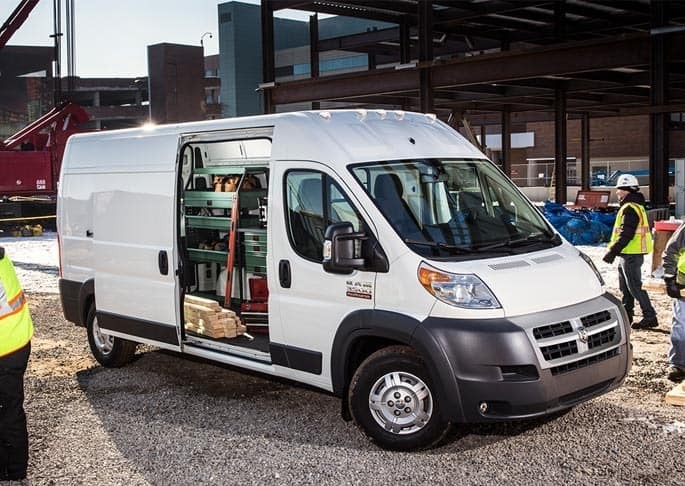 The uni-body design of the Ram ProMaster 2500 vans should allow more safety than in traditional body-on-frame American vans; and Ram has bolstered the roster of features for the security-minded with many of the same features you'll find in light-duty passenger vehicles. Electronic stability control is standard across the line of vehicles, and the ProMaster includes trailer sway control, as well as an available ParkView rear backup camera and ParkSense rear park assist. Give us a call if you would like more information on the 2015 Ram ProMaster 2500 today!